There are many Floridas. They differ in their scenery, weather, culture, and people. Heck, from Pensacola to Key West it is a 12 1/2 hour drive, the state is bound to have some variety. Away from the coast, Florida maintains a real southern charm, hard working people, small towns, farming, ranching, fresh water fishing - real people living real life, sometimes a hard life. The east coast where we just left tends to be a series of laid back surf towns, but with plenty of northern visitors, so you get lots of Jersey style pizza joints and New England seafood restaurants. South from there, down in Ft. Lauderdale and especially Miami, it's much more cosmopolitan, much more big city with all the pluses and minuses of that. Orlando, Jacksonville and Tampa are thriving cities in their own right, but nothing is like Miami. The Keys are their own deal as well, much more of a salt life fishing culture, plus tourism, but much less beachy. All the way up in the panhandle, people affectionately call it the Redneck Riviera, you will find the vacation destination for many people from Georgia, Alabama, Mississippi, Tennessee, etc. We were there a few weeks back; it has beautiful white sand beaches, lot of bayous and boats, and is sort of a mix of beach culture and the deep south. Around the inside of the elbow, down the west coast from Tampa Bay south, (this is where we are now) you find Southwest Florida. Here you will see a lot of retirees and retiree-focused communities and we found, a lot of tourists. I view these parts as more orderly and maintained, less wild is how I would put it, but you can certainly find “wild” with a short trip into the Everglades, one of the largest true wetlands in the world. 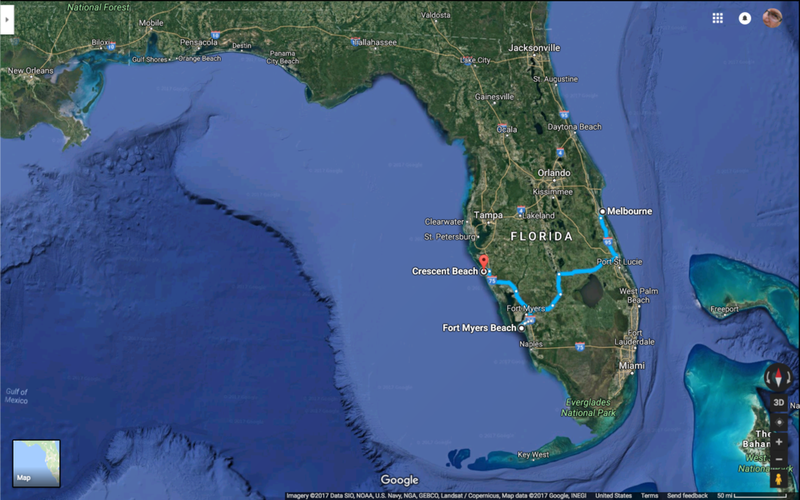 We drove across the state from Melbourne to Fort Myers in a good bit of rain most of the way. Some tropical storm had hit the state, they even gave it a name but it was not a big deal. We headed off driving south in the driving rain, then west, skirting the top of Lake Okeechobee on the way. We were going to see my step-mother Alouise and to look through some of my Dad's things (mementos, photos, clippings of articles he wrote, books he wrote, his computer). Dad passed away last fall and the family is trying to wrap up his estate now. It quit raining by the time we got there, and we had a nice visit with Alouise and her son John, even though it was a little busy. I was able to pull everything off Dad's computer and put it on the cloud so it's backed up and I can get to it from anywhere. It will take some time to figure out what all is there, but I do know there is at least one unpublished book that I may want to work on. 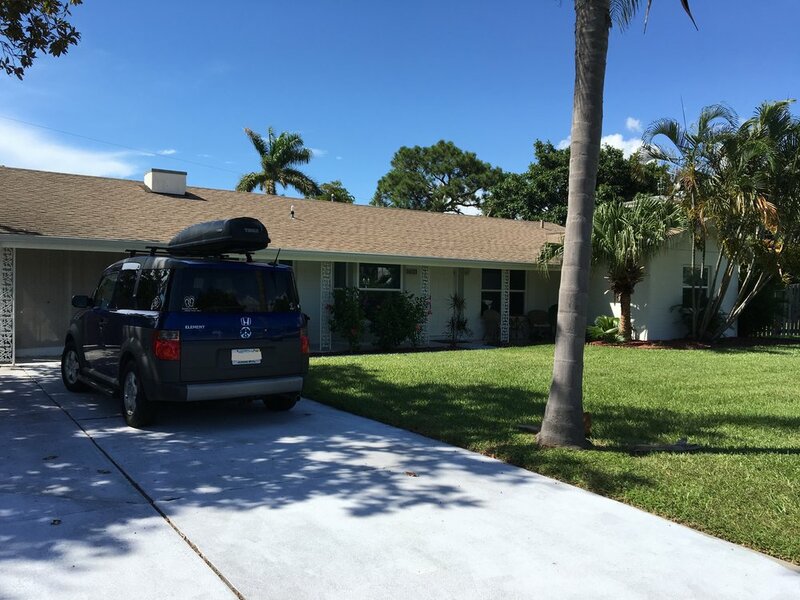 After leaving Fort Myers, we headed north to our VRBO rental house just off Crescent Beach on Siesta Key. 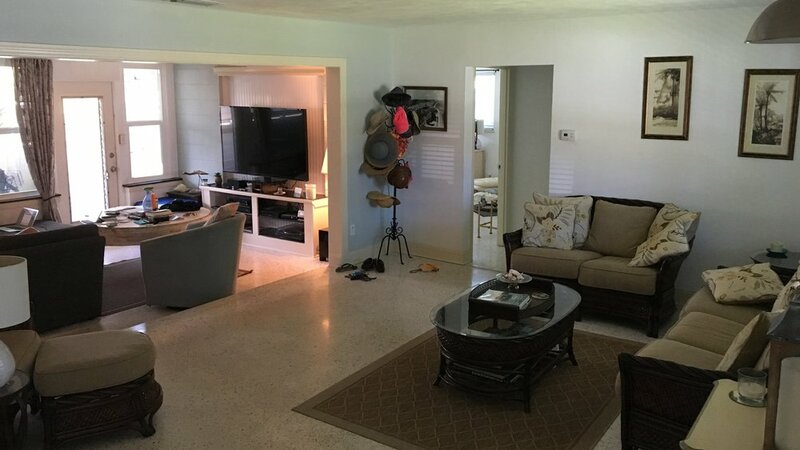 The house is similar to my Mom's house, the one she just sold, though probably a decade or two newer, cinder-block construction, terrazzo floors, etc. It is bigger & has been modernized quite a bit, but it has similar features. We have the place for the month of August so we spent the first day moving in and getting some “business” done, like paying a few bills, catching up on emails, grocery shopping, etc. We actually unpacked and put our clothes in dresser drawers and food in kitchen cabinets, such a luxury! We hadn't really settled in anywhere since the estate sale in early May. Since that time, we'd lived in our car, six separate houses, an AirBnB, and a few hotel rooms. We felt we were out of vacation mode when we didn't even bother going to see the beach the first day. We just chilled and got comfortable in the house. The house is a 10 minute walk to the beach – we quickly learned we could walk over a short drawbridge and right down to the sand. That's when we saw them. The tourists. And their umbrellas, tents, chairs, floaties, coolers, and kid toys, not to mention the umbrellas, tents, chairs, floaties, coolers, and kid toys! 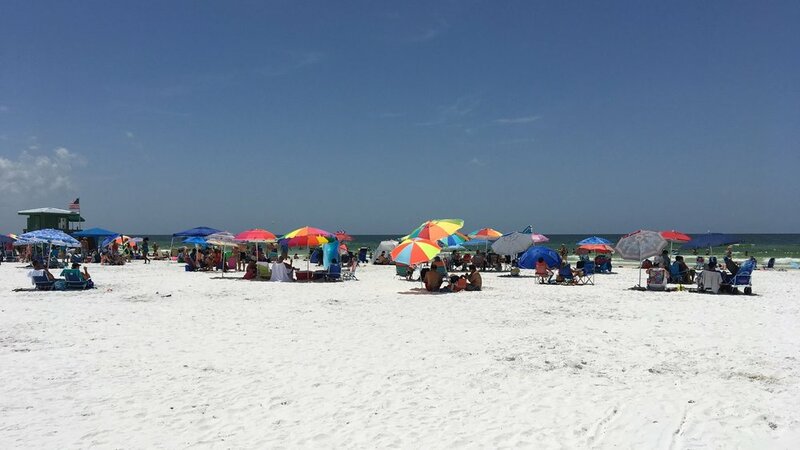 We really did not expect this after having read that Crescent Beach is the "less crowded" one, compared to Siesta Beach. We'd just left an area where the "busy" beaches were a 100 yard stretch of people and then very lightly scattered for the next many miles. This place was just the opposite with miles of people, and just a few places with only a smattering of warm bodies. The sand is pure white and it feels great on the feet, the water is a pretty green/blue, but there was work to be done to find a beach we were really going to love. There were actually a lot of differences when comparing to the Melbourne Beach area. This island is much smaller at only a few miles long, and is really all about tourism. That's not all bad, they have some great features like a free trolley service up & down the beach road and plenty of things to do. The beach road itself is much slower paced, it's just a 2-lane with a middle turn-lane, and at only 35mph with a sidewalk, a bike lane and lots of crosswalks, it's pretty nice. We even found a great happy hour (11am - 6pm!) at a place called Gilligan's, with this guy on the barkeeps' shirts. But of course that's not our scene, it never has been. We stumbled upon a great place though, at the north end of the village (Siesta Village) This is just between us, OK? OK. We found that people just don't want to walk an extra couple hundred yards for some peace and quiet, but we do and we did! Some people may also be intimidated by the Private Property signs – this area has some big, deluxe waterfront homes. But I know Florida law allows that even on a “private beach” the state owns the land below the mean high tide mark. So we could hang out there until the tide came in if we wanted to, and we've done a fair amount of that. We staked our claim with our pirate flag and named it Pyle Point! 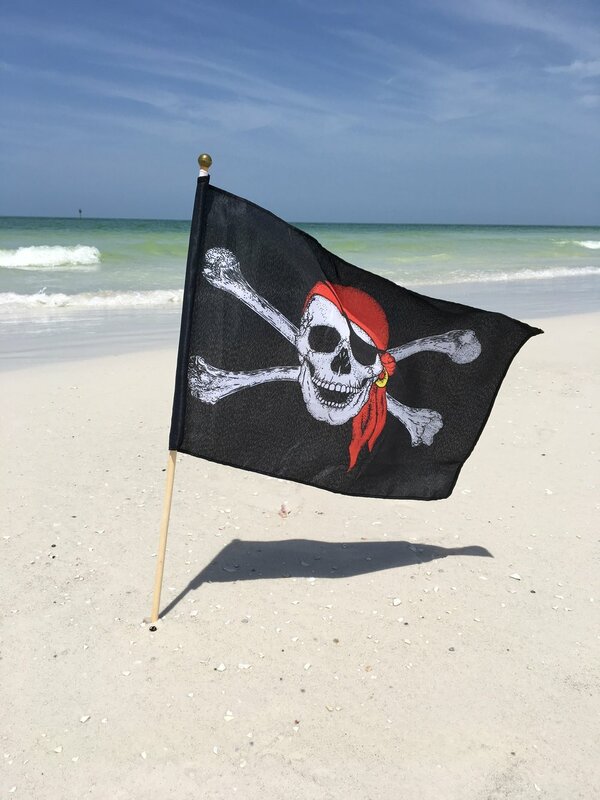 We later found out it is called Sarasota Point, but that's just silly, the pirate flag is also part of state law and stuff. Pretty sure. You might want to check that. I claim this land for, um, uh, pass the rum! Anyway, more to come from Siesta Key – it's great to be in area I've never been so Deb and I can explore it together. The only local knowledge is what we learn from people we meet, and we like that. Cuz, I really believe you got the writing gene from your Dad. I enjoy the regular updates. I may even try to find Pyle Point in the near future! 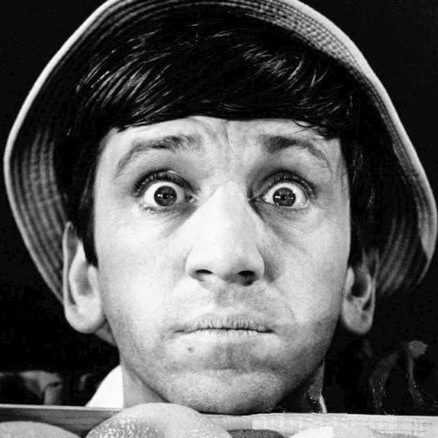 After hearing the Cuz explaination, I start to thing my calling you Norman Bates Gomer Pyle for all those years, may not have been far off of the mark! Anyway, I enjoy the blogs! Thanks Scott, I think you’re right! Two Sisters married two brothers (not their own brothers! ), but yes, it sounds a little um, different. Awesome update, Norm! Love the Redneck Riviera and that part of Florida you are in now. If you get a chance, head north and visit Boca Grand, we vacationed there a lot. And not sure how far you are from Sanibel and Captiva. Great writing, and it’s cool on the gypsy lifestyle you and Deb are doing (but of course no WiFi for the gypsies :-). Keep ’em coming. Your writing brings back memories of the times I spent in Florida – Clearwater – (10+ years) growing up..
That’s great to hear Paul, thanks for the compliments! We have spent a lot of time on Sanibel and Captiva over the years, but never Boca Grande. We’ll see if we can visit. Glad you two came into Salty Dog!! By far the most fascinating couple I’ve had the pleasure of taking of yet. Hope you’re enjoying FL, looking forward to reading about your next endeavor. Brittany, it was great meeting you – hope to see you again soon! Thanks for checking in on the blog! Enjoying more of your writing. We lived about an hour south of Siesta in the tiny coastal town of Englewood for 13 years. A lot less touristy than Sarasota and no high rises. Too bad red tide took hold of that area late in 2017 and almost 3/4th of 2018. Big Sugar decided to dump their excess water into the Gulf and killed marine life and tourism! Thanks Ron. The red tide business in Florida MUST get fixed. It’s unbelievable that it’s allowed to continue. I read that tourism employs over 1 million people in Florida, and agriculture employs about 2 million. But damn, you can have both – you have to be able to have both. I can’t believe how poorly this has been managed for the last half century at least. It makes me sad and angry at the same time.